Because one of the highest profile victims was the President’s wife a lot, and I mean a lot, of effort and money was put in to managing this. So those who are locked in, known as Hadens after the First Lady, have access to what are basically robot bodies to which they can connect their consciousnesses so they can move around an interact with the world and get jobs; a virtual reality space called the Agora which is dedicated to their needs; and some people who have survived the disease but have been left with the ability to allow Hadens to enter their minds and have access to their bodies for a fee (they are known as Integrators). It’s against this background that our story plays out, a sci-fi murder mystery in which one of the FBI agents is a Haden, a very famous one too. Chris Shane became ill and locked in as a child and then a poster boy for the illness as his Dad, a famous sportsman, used him in his campaigning. His Dad’s a nice guy actually so not an exploitative thing at all, by the way. And now he’s just joined the FBI and has a nasty Haden-adjacent murder to solve with his partner, Agent Vann. Apologies for the info dump, but there’s a lot of backstory it’s worth getting your head around, and I’m not spoiling anything (I think). 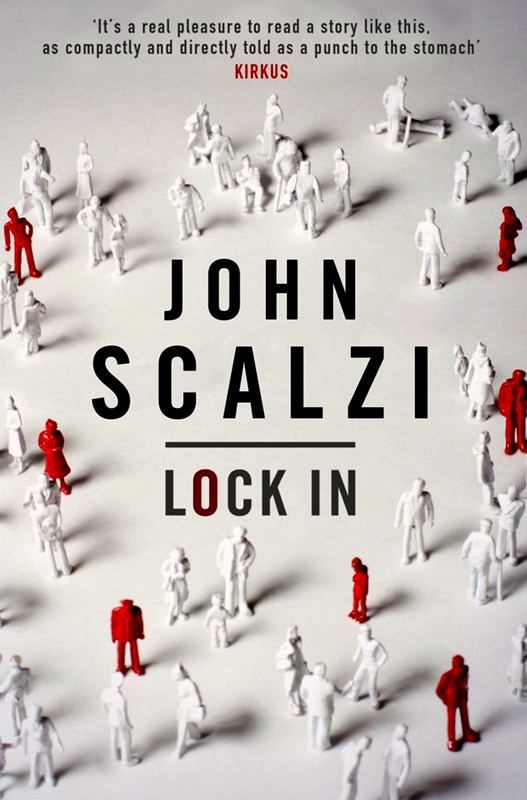 John Scalzi is one of those authors whom I’ve heard a lot about (and follow on Twitter where he is very entertaining) but had never read, though I do have Redshirts downloaded and after this may add it to my Sci-Fi Experience reading list. I had picked up the companion short piece to this which gives an oral history of the disease and the technological advances made to support those who have been incapacitated by it. It’s a very good read and led directly to me picking up the novel. This is the third of the novels that got me through my recent bout of illness and it was exactly what I needed, a really well written and interesting murder mystery set against the politics of disability. The murder itself is fascinating but what adds depth to it is the debate that goes on underneath, about whether the amount of money spent on helping survivors is justified, whether it goes beyond helping people cope and gets into the realms of giving them an advantage over those who have not been locked in. The prejudice, whether intentional or the result of ignorance, is overt and realistic. But as I said, this is primarily an ingenious puzzle. I really liked both Shane and Vann, and there was a rich cast of supporting characters. The solution to the murder was clever and plausible and it was great fun to read. I hope this becomes a series as I would definitely read more. I really need to find a different way to say that as I seem to have been using it a lot recently 🙂 but I mean it! Goody! I’m glad to have a high recommendation for this book! I just checked it out of the library on my last trip there, and I’m really looking forward to reading it. I do hope you enjoy it Jenny. I almost picked this up last week in a bookstore. It looks interesting, so very happy to hear it’s so good you would read more in the series.